Launching a digital transformation project can be scary. Customers are demanding more, managers are expecting to see rewards and employees are hoping that the project will make their jobs easier. You know that your project is not going to progress from inception to deployment without a few issues, but you are also aware that seemingly minor issues can snowball into project failure. With so much at stake, how can you reduce your risks and feel confident about the eventual success of your project? Embrace the risks — even if this requires you to alter your mindset or the mindsets of upper management. Accept that there are certain inherent risks to your digital project, but understand the truth behind the old saying, "Nothing ventured, nothing gained." In 2017, the most successful companies will be those that take advantage of the opportunities presented by a digital transformation. Identify potential risks at the beginning of the project. Keep an open mind while looking for possible risks that could occur throughout the project. Ask your team members or experts who have proven themselves on projects similar to yours. Read between the lines when perusing business cases, the project plan or other documentation; you may find potential risks that have been overlooked. Manage your risks. Risk management should be an important part of your digital strategy as well as your project. 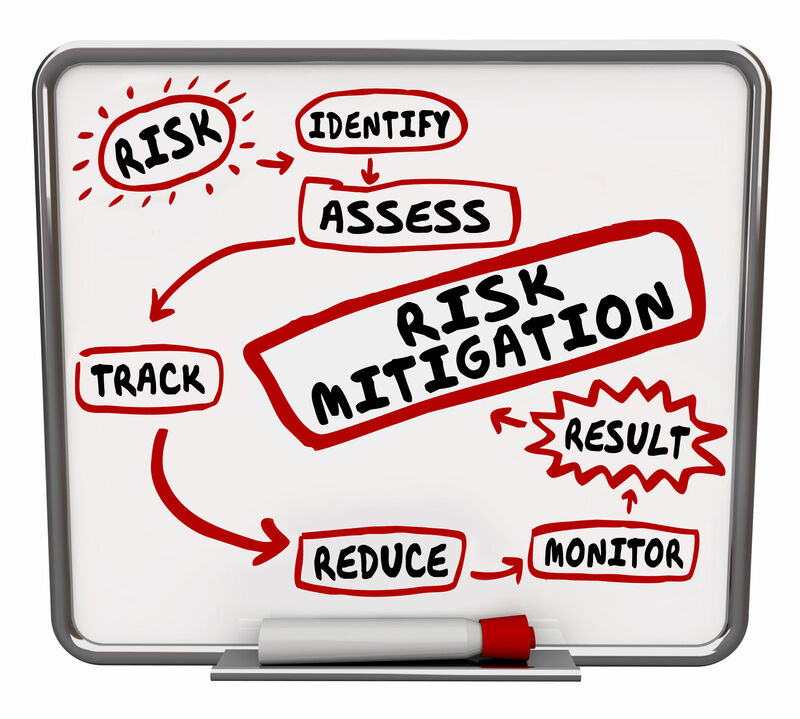 Integrate risk management in your daily operations. In project meetings, discuss potential risks and how to mitigate them. Keep the lines of communication open. Too often, project managers are caught by surprise when the hammer drops, and in many instances, another team member was aware of the hammer but failed to tell the project manager. Make risk communication a prominent item on your agenda for team meetings to encourage feedback and discussions. Analyze and prioritize risks. Not all risks are equal, so you need to examine each potential risk individually to analyze what is involved. What triggers a risk? What are the immediate effects? What are the long-term consequences? Once you understand all about each risk, you can prioritize risks based on likelihood and effects so that you can devote more time to risks that could bring your project to a grinding halt. Assign an owner to every potential risk. For your team, this means that each member understands that he or she is responsible for mitigating a certain risk. If you outsource all or part of your project, must rely on a supplier or contract with a vendor, risk ownership includes who will bear the financial consequences. Plan responses to risks. Your response could be to avoid the risk, mitigate the risk or accept the risk. Risk avoidance means that you adjust your project to eliminate the risk, which could entail choosing another technology or switching your supplier. Most responses involve mitigating the risk by reducing the potential harm caused or altering the circumstances that could trigger a risk. On occasion, however, you might find that your best option is to accept a risk that will have little impact and would be costly or time-consuming to deal with. Keep a log of risks that contains a description of the risk, who owns it and the basic causes and effects as well as the actions that you and your staff have taken. You will be able to keep track of all potential risks, monitor progress and use it as an effective communication tool. Stay open to positive risks. Positive risks are opportunities that may present themselves during the course of your project. By keeping an open mind, you may discover risks that would increase the project's profitability, improve the results or reveal a way to enhance productivity. There is no such thing as a risk-free project, and the risks can be even greater when you are dealing with innovative technologies for the first time. However, by keeping these nine points in mind, you can greatly reduce the possibility that an unforeseen risk will derail your digital transformation project.